Hi folks! Ruthie here with Arizona Oriental & Specialty Rug Care in beautiful Prescott AZ once again and today I thought I would take a minute to talk about a feature that is often found on hand-woven area rugs, especially older rugs that have seen a lot of traffic. This feature is known as a “white knot” and can be found in just about every hand knotted area rug either hidden in the pile or even showing up on the surface. What are they exactly? White knots are part of your hand knotted rug’s foundation and construction. Cotton warp threads (these run vertically through the rug) and weft threads (which run horizontally from side to side) are stretched over a loom to create the foundation of an area rug. The weavers then tie the face fibers to these foundation fibers. Sometimes during the weaving process, some of the foundation fibers may break and need to be tied back together. Voila! A white knot is born where this repair has been done! White knots may be covered up and masked by the dry soil that has accumulated on the rug. 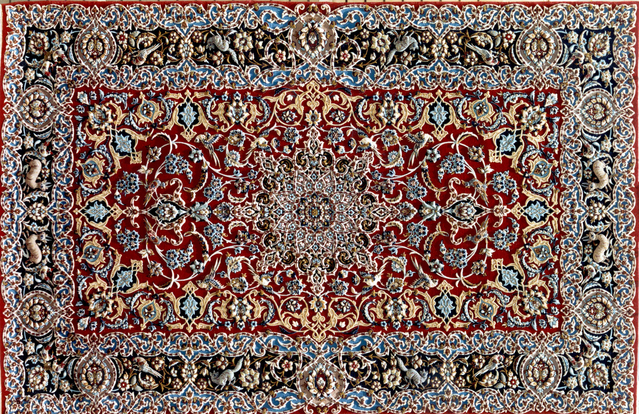 When your rug is cleaned by the professionals here at Arizona Oriental, the dry soil is removed. This can make the white knots suddenly more noticeable, but it isn’t damage! YOU SHOULD NEVER, EVER CUT OUT WHITE KNOTS IN YOUR AREA RUG! This creates a hole in the foundation of your area rug and this little hole will become a BIG problem in causing your rug to unravel completely over time. This can be really expensive to repair, so it’s MUCH better to just leave the white knots be. However, if you don’t happen to be a fan of the white knots in your area rug, give Arizona Oriental a call today! We have a variety of repair services and may be able to do something to mask up those white knots for you if you’d really like.